A private dinner for friends and associates of philanthropist, John Caudwell, has raised over £1.5 million for the charity he founded. The Caudwell Children Butterfly Benefit took place on Thursday, 12 May at The Banqueting House in Whitehall for just 200 guests. 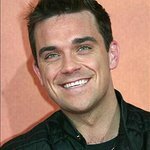 The audience enjoyed a six-course gourmet taster menu and entertainment from Robbie Williams and Robin Gibb. BBC TV presenter, Alex Winters, was the guest host for the evening. Following emotive speeches from John Caudwell and Jackie Griffiths, the mother of a disabled child who has been helped by the charity, guests pledged donations in a live auction conducted by Mr Caudwell. Robbie Williams, who is an ambassador for the Stoke-based charity, and pop-legend, Robin Gibb agreed to perform for the small audience for free in support of the charity. The Charity’s ambassadors include Hollywood actress and author, Joan Collins, actress Elizabeth Hurley, Rod and Penny Stewart, Bruce Forsyth and Robbie Williams. The late Boyzone singer, Stephen Gately, was also a Goodwill Ambassador for the Charity. The event took place on Thursday 12th May at Banqueting House in Whitehall, London. For more information about the work of the charity, visit www.caudwellchildren.com.